first turn of turf race. 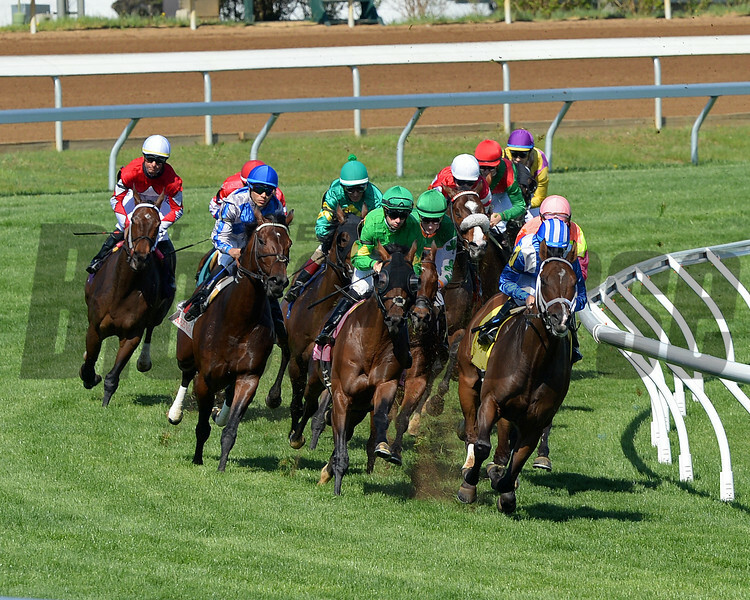 Racing scenes at Keeneland. April 12, 2017 Keeneland in Lexington, Ky.